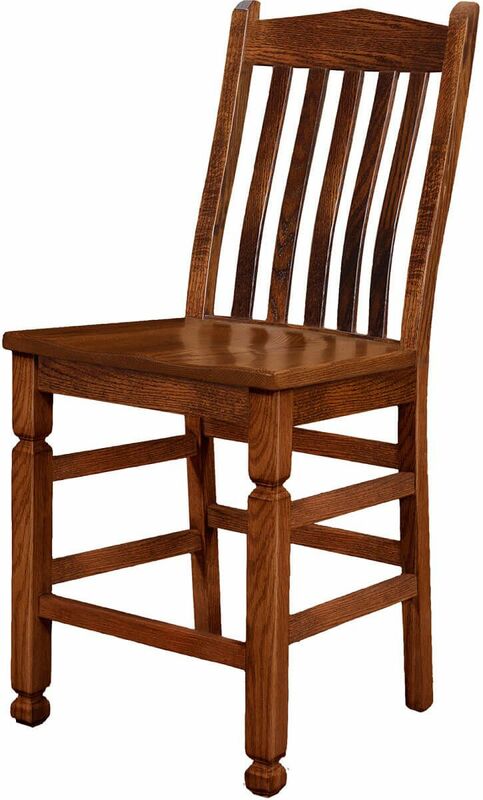 Our Sanibel Bar Chair offers freedom of selection. Pictured in a two-tone finish, this piece is available in any offered wood and stain combination. 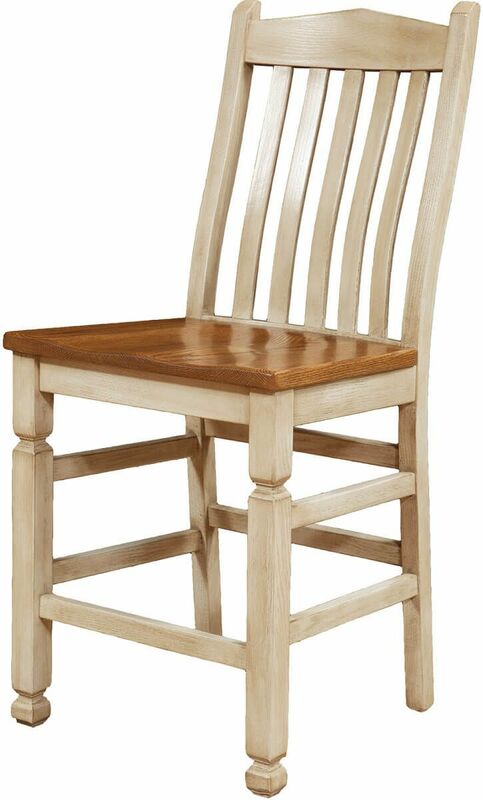 Hand-selected American hardwood combines with durable mortise and tenon joinery in the Sanibel Pub Chair. Our Amish artisans then hand rub your chosen stain color to an even finish and top your bar chair with a cabinet-grade varnish. For a lifetime of use, ensure your wooden pub chair is constructed using time-tested methods by experienced Amish woodworkers. 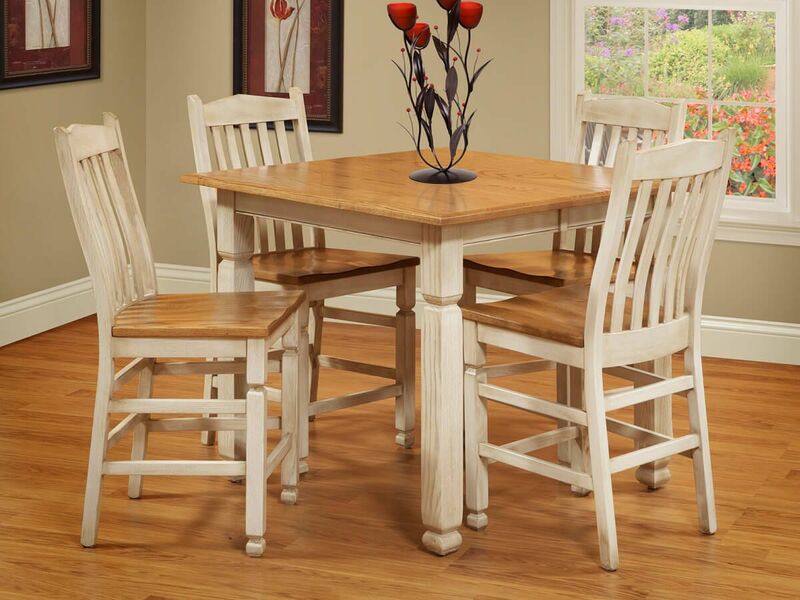 Indicate your custom specifications using the options menu and let Countryside begin crafting a Sanibel Pub Chair collection for your kitchen, bar, or breakfast nook. Shown in both a coastal two-toned look along with solid Oak, your stationary bar chairs will be built and finished to your specifications.